Chiropractors help patients by delivering a series of chiropractic adjustments. There are many ways to adjust the spine. Sometimes the chiropractor’s hands deliver a quick, highly accurate thrust. Or an instrument directs the force to the “stuck” spinal joint. Other times a slow constant pressure is used. Several areas of the spine may be adjusted, or just one. Chiropractic adjustments are very specific. They are targeted and focused. It is this precision, combined with the intent of reducing nervous system interference, which has produced wonderful results. 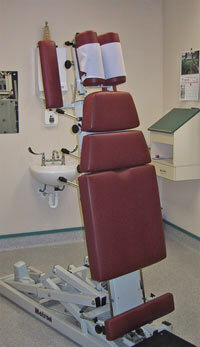 We use state of the art techniques and equipment at Roughan Chiropractic.